You will find the lease page with grids of information about all leases. 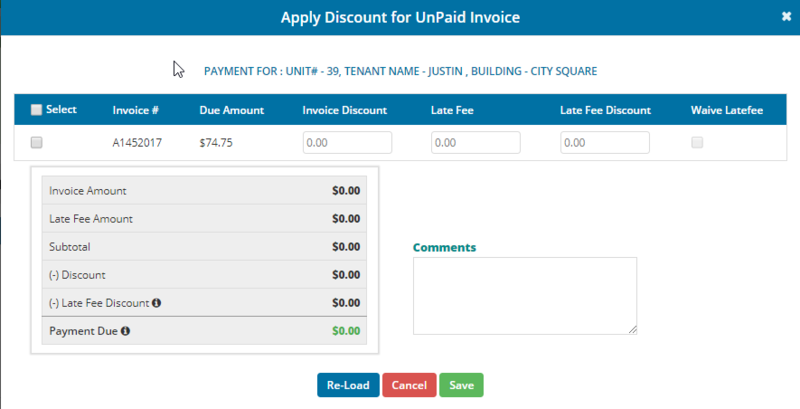 Taking the below example we could see that the tenant still owes $74.70, lets proceed in giving him a discount. 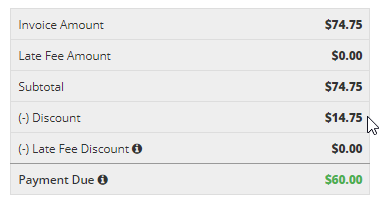 Click on the "Discount" button from the top list . This then redirects you to a page where you will be able to apply a discount to any chosen invoice.